If I haven’t officially mentioned it before, I’ll do it now. I’ve been pretty interested in this band called Gallhammer. I’ve featured a picture of them in the post before this one about Heavy Metal – Women and Perception. They are a three piece all-female metal band from Japan, though I’ve just read that they are now a duo of just bass and drums. Described as sludgy blackened doom with a bit of crust from their Wikipedia page, I’ve found their overall sound appealing in a muculent doomy kind of way. In other words, I really like their sound. The duo consists of bassist-vocalist Vivian Slaughter and drummer Risa Reaper though they were formally a trio with guitarist Mika Penetrator. They got their start in the early 2000’s and after playing a couple of shows and releasing a couple of demos, they were signed onto Peaceville Records by none other than on the recommendation of Darkthrone. As noted from their Wiki page they were highly influenced by bands like Napalm Death, Carcass, Morbid Angel, and Joy Division — all bands I love and have all seen except for Joy Division (RIP Ian Curtis). 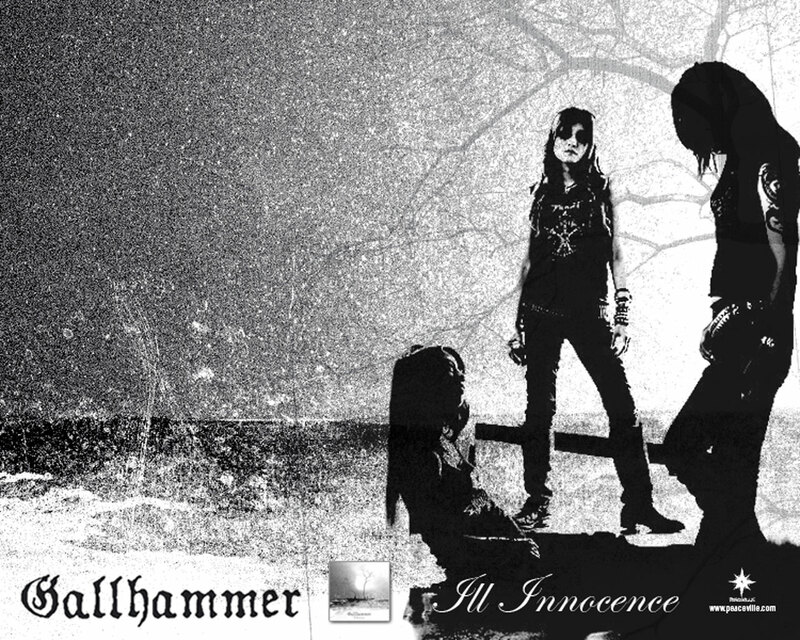 I got my hands on their second studio album released in 2007 entitled Ill Innocence. Favorite songs from the album are At The Onset of the Age of Despair, Blind My Eyes, and Delirious Dreamer, though almost all the songs on the album do not disappoint. Of particular note was the song Blind My Eyes – I found the exchange between Vivian’s death vocals and Mika’s almost prepubescent girlish squeals to be a provocative call and response type of interchange. It’s no secret that I would love to be able to sing like this. Though it’s not done with Gallhammer, I haven’t seen many female vocalists who can cleanly transition from dry death vocals to regular vocals. It’s probably due to the complexities involved with reaching such a range. Another interesting tidbit is that Vivian Slaughter is married to Maniac from Mayhem, who also guest sings on a later album. Which brings me to mention another talent – Melissa Cross. If you haven’t heard of her before, you should definitely look her up. She’s a voice teacher living in NYC and is responsible for some of the best screamers in Heavy Metal. She’s released a DVD guide called The Zen of Screaming: Vocal Instruction for a New Breed and has recently expanded upon it with The Zen of Screaming 2. Featured artists include Shadows Fall, God Forbid, Lamb of God, Randy Blythe, All That Remains, Angela Gossow, and H2O. Check out Cross’s clip from YouTube with Angela Gossow’s lesson and interview. It’s quite fascinating to see the ways in which singers train their voice and it was especially interesting to see how both Cross and Gossow comment on how fans misconstrue male vocalists and their ability to “pull through” and not lose their voice. Cross laughed and said she’s seen many a male vocalist loose their voice and even shred their throats from singing improperly. 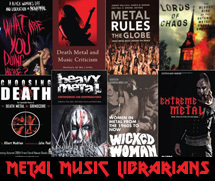 All in all – a very informative DVD for those interested in learning how to sing metal vocals with variety and little chance of shedding one’s throat.